Our Kelowna resort caters to family vacations, holiday travel, golfers, wine tours and corporate travel. 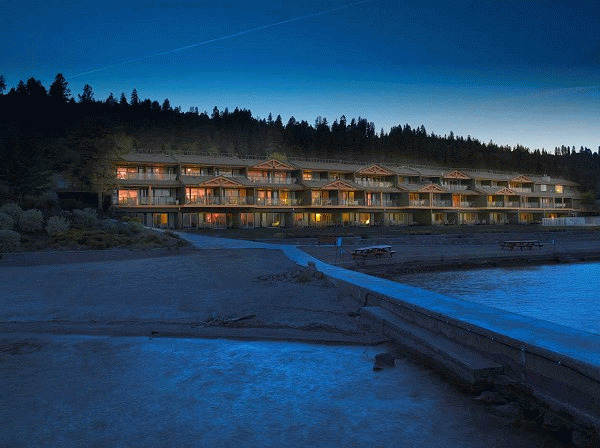 In the off season our Extended Stays are the best deal in the Okanagan Valley. This Kelowna lakefront Resort is located on six acres of secluded Okanagan lakefront property only 5 minutes from downtown Kelowna. We offer spectacular One, Two, and Three Bedroom Condos, plus 2 bedroom Villas and Townhouses. Our units are smoke free and our property is pet free. Year round activities are plentiful in the gorgeous Okanagan Valley. World class Golf Courses, Wineries, and Ski Resorts are all within your reach at Casa Loma Lakeshore Resort. Just pick your season! 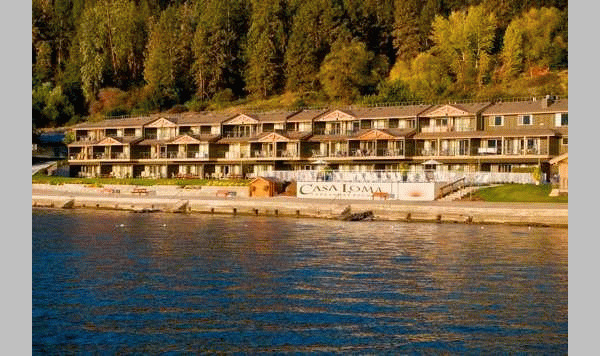 Casa Loma Lakeshore Resort offers 30 individually designed and owned suites which are great for a family vacation or a long term condominium rental. You can rent any of these room types. Sleep 8 max. including all children. Spacious 1,300 square foot suites. Split level units with entry and living area on main level and bedrooms on upper level. Please visit Casa Loma Lakeshore Resort Website.